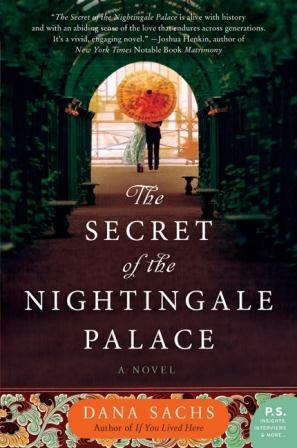 I chose to read The Secret of the Nightingale Palace by Dana Sachs because the title of the book intrigued me. The novel however, did not meet my expectations. It is a good story about a young Jewish widow who takes a cross-country trip with her 85-year-old grandmother in a Rolls Royce. I had a tough time keeping with the book and almost abandoned it more than once. The writing is fair. The book did not end in a way that I had hoped. In fact, the ending diminished my opinion of the elderly Jewish grandmother in the book. This is a love story of sorts for those who enjoy romance novels. This entry was posted in Uncategorized and tagged Books, Dana Sachs, Japan, Pearl Harbor, San Francisco, The Secret of the Nightingale Palace, WWII. Bookmark the permalink.